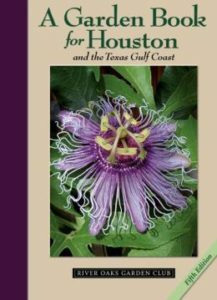 Since it was first published in 1929, more than eight decades ago, A Garden Book for Houston and the Texas Gulf Coast has been the authoritative go-to book on gardening for Houstonians and Texas Gulf Coast residents. This fifth revised edition, written and edited by Lynn M. Herbert, has been entirely updated, expanded, and colorfully redesigned. In the process, information in the book was reviewed by over 100 professionals in related fields and by knowledgeable resident gardeners, men and women who generously donated their efforts to make this an invaluable resource for seasoned gardeners as well as neophytes and newcomers to the region. Beloved and consulted for generations and called by many the bible of Houston gardening, A Garden Book is now even more indispensable. This latest edition reaffirms the commitment of the River Oaks Garden Club to preserving our environment, promoting sustainability, and planting with a purpose.